Summer in the garden has been glorious this year. We've had seemingly endless dry, warm days and the plants have responded with a bounty of produce. It's been a few years since we've had a summer this nice, and we are all enjoying this gift of fair weather. Every year it seems that one or two crops perform particularly well. 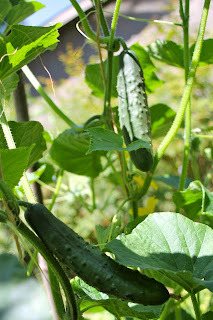 This year that distinction goes to our cucumbers. Both the lemon cucumbers and the regular cucumbers have outdone themselves! We keep harvesting them and they keep ripening more. 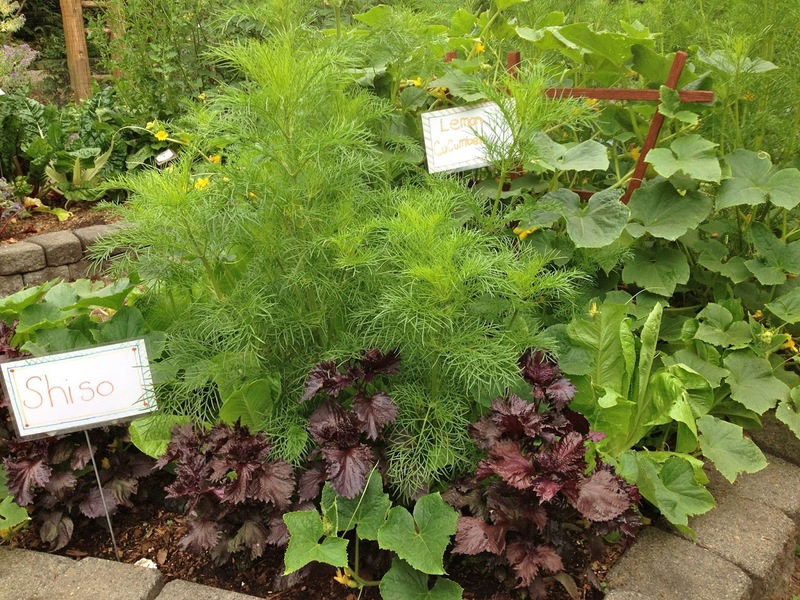 The squash, tomatoes and tomatillos are doing beautifully as well. We have several "Super Zucchini's"--those zucchini's that hid themselves amongst their foliage and grew into giants. Too big to be good eating now, we are letting them grow just to see how big they get. When our overnight students come in September, they will be amazed at the giant zucchinis! 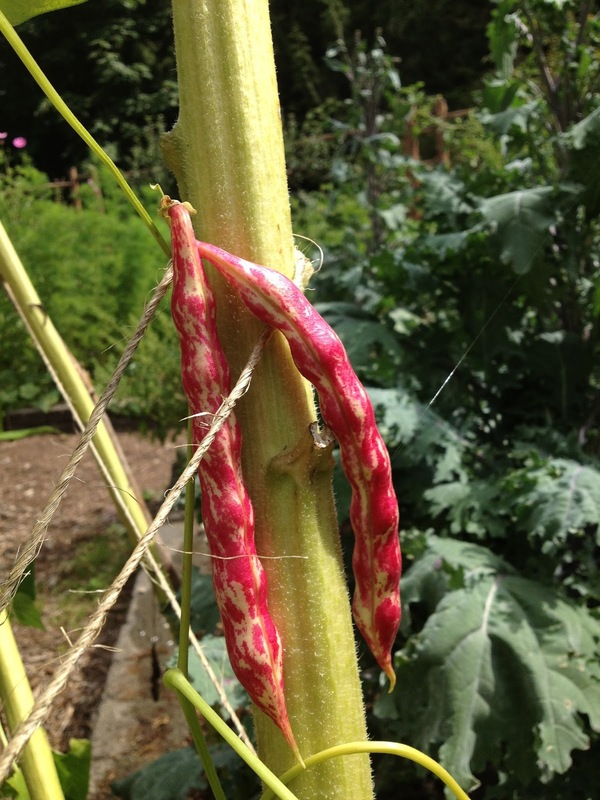 Our Tongue of Fire shelling beans are looking extra colorful as well. These beans are easy to spot with their bright pinkish red markings, and they've been climbing the sunflower stocks all summer long. When the pods start to dry, the children will have a great time opening them up to discover brightly striped beans! Fresh tomatoes always taste amazing! Meanwhile, we have been busy planting out fall and winter crops. While this summer's harvest has been delicious, we know that winter is right around the corner.